"We cannot always see that which guides our way." Order your own copies of the Dynasty Packs in the Elemental Cycle at your local retailer or online through our website today! With the current state of elemental imbalance in Rokugan, divining the future can be a difficult task. However, a moment of clarity has crystalized, and the future of Rokugan has become clear. 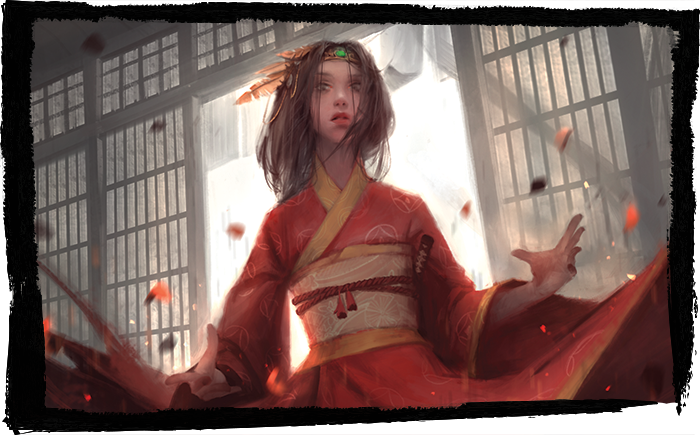 Join us today as we peer behind the veil at the future of Legend of the Five Rings: The Card Game, including the release dates of the Elemental Cycle and more! Please note that, as per standard Organized Play practice, products released in the last eleven days will not be legal for the Grand Kotei taking place at Gen Con Indy 2018 (All and Nothing and Elements Unbound in this case). Look for previews for the Elemental Cycle to begin on June 6th, continuing every Wednesday! 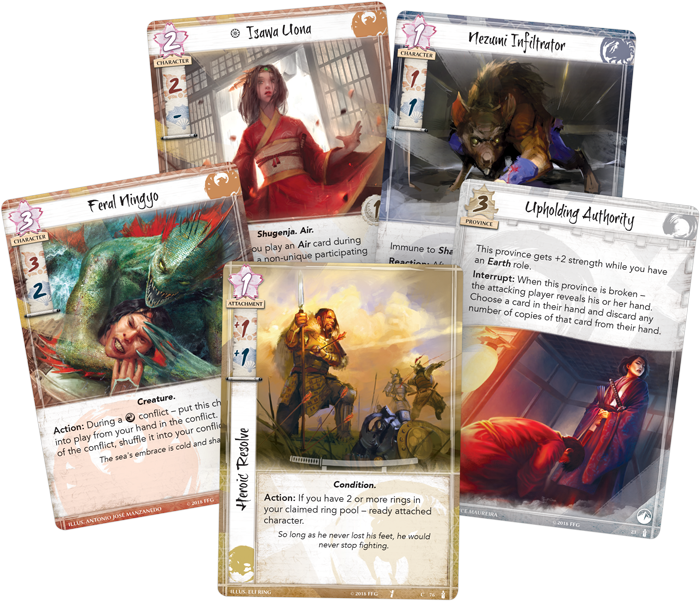 While the Elemental Cycle is the next stage of Legend of the Five Rings: The Card Game that you can look forward to, more lies beyond, waiting in the shadows. Look for an official announcement about this product on May 30th! Gen Con Indy 2018 will mark one year since the revival of Legend of the Five Rings and the stories of the Emerald Empire are just beginning—imbalance and chaos are bubbling, just below the surface. What clan will come out on top? 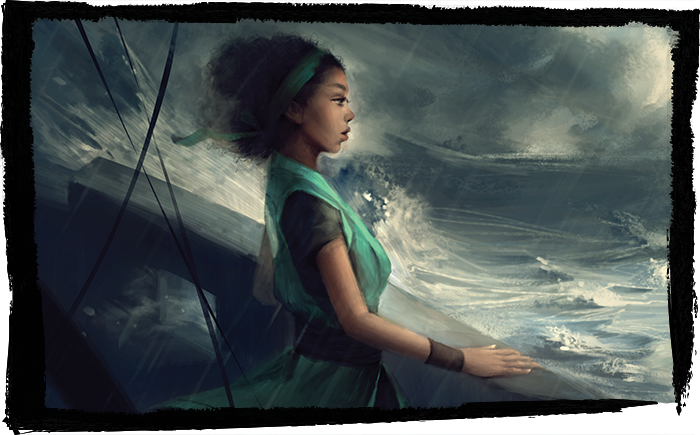 Check back to the Fantasy Flight Games website every Wednesday for more Legend of the Five Rings information, including the final guest writer clan articles, the announcement of new products, and more. Find your clarity with the Elemental Cycle (L5C09-14) for Legend of the Five Rings: The Card Game, available now for pre-order from your local retailer or our website.